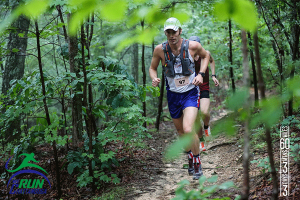 The trails at Raccoon Mountain are still mostly fast and forgiving, making for a leisurely race for new trail runners or a full on speed-fest for those hunting for non-technical trails. The marathon course is new for this year. We are going back to sort of the old course of running the 1/2 marathon twice. This will be far easier and faster than going down and back up the brutal Live Wire trail. Come join us for a brew before the most amazing 3 days of running Chattanooga has to offer! Wild Trails Pint Night Fundraiser @ OddStory Brewing Co. The Enterprise South Nature Park is the venue for one of the fastest growing trail races in the Southeast. The wide, soft and gently rolling pedestrian only trails make the first section a perfect lead in for the 1/2 marathon and the entire 10K race. Both races start at the same time. The second 1/2 of the longer race is on the non technical bike trails winding through a more remote area of this widely diverse and heavily wooded nature park. Come out Sunday, November 3, 2019 at 8:00 AM for a fantastic 10K running experience. This unique and challenging run is half on roads in North Chattanooga and half on the trail at Stringers Ridge, a treasure in North Chattanooga. The race begins and ends at Coolidge Park under the Market Street Bridge on the Tennessee River, perhaps the most scenic finish of any race in the city or maybe any city. Come see for yourself.